Now, I’ve only been to L.A one other time and I fell in love with it. I didn’t expect this time to be any different. The great thing about traveling with someone like yourself is the fact that we both didn’t have any expectations , agendas or alarm clocks! I love vacationing, but I have learned to spend my money on things that really matter. Although I love a good 4 or 5-Star hotel, I did not want to spend $400+ per night, so we booked a hotel about 30 minutes from Downtown L.A. in Montebello, CA. 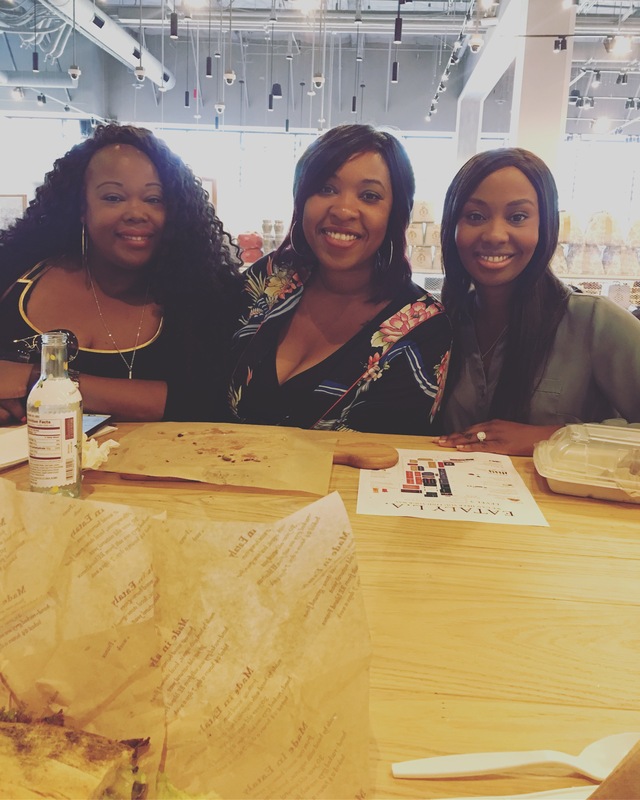 Best Mexican Food in East L.A.
We had a chance to attend a live taping of “The Real” with hosts Adrienne Bailon-Houghton, Tamera Mowry- Housely, Loni Love, and Jenny Mai. I was surprised to see that it was a smaller set than expected , but very intimate. The audience coordinator was so much fun. She kept us entertained with dancing, hip-hop music and taking pictures on the actual stage. I really wanted to give a positive account of my experience, but the show was really boring! The hosts were not engaged with the audience at all., not even eye contact. Tamera Housely was the only one, after the show, that stayed to say hello to the audience and even took a picture with a guy who was celebrating his birthday. The show was “Girl Chat” which will air on March 30, 2018. 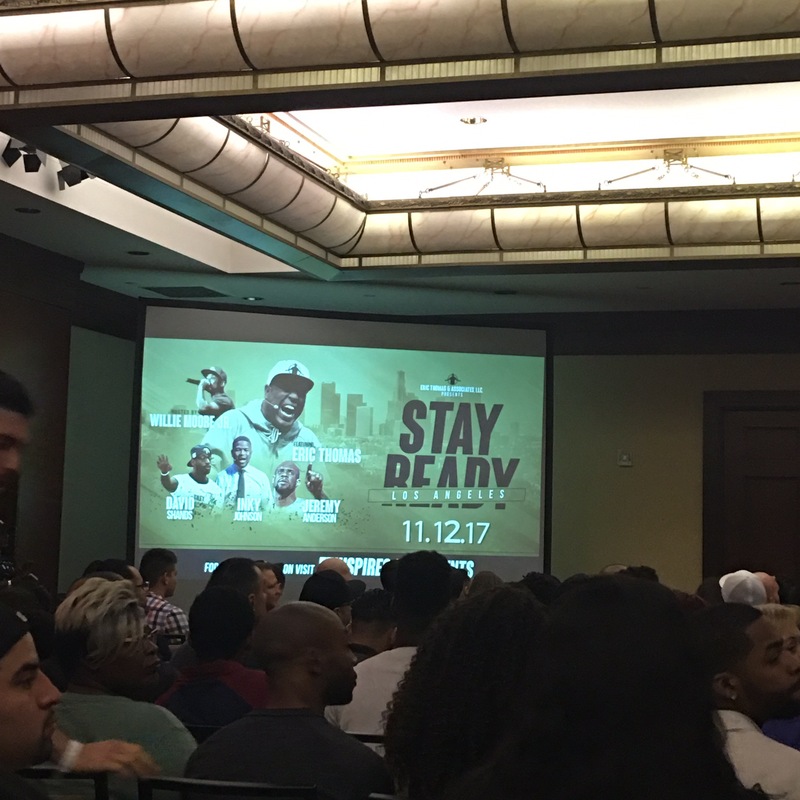 We attended the Stay Ready Tour with Eric Thomas who is an internationally known motivational powerhouse. It was held at the Omni Hotel in Downtown Los Angeles. From the time we entered the building you could feel the energy. The staff members were high-fiving everyone and it was electric. All of the speakers dropped jewels of wisdom about staying motivated, consistent and focused on your dreams and aspirations. I was able to meet one of the speakers, David Shands, and purchase his book “Dreams Are Built Overnight”. I related to him the most, because just 5 years ago he was a server at the Cheesecake Factory and now he’s an award-winning speaker and author. A story I needed to hear. If I lived in L.A. , this would be the place I would shop at all the time. It definitely had the energy of a laid-back Cali. It is located just 5 blocks away from Rodeo Drive. It’s a newly renovated shopping mall right across the street from a high-rise apartment where the top two-story penthouse belongs to actress Tori Spelling’s mother for $15 million dollars. We met up with my friend’s cousin, L.A. local Katharine, who showed us around the center. We made a stop for lunch at this place called Eataly and it was Italian delicacy heaven. There was so much to see in this two-story specialty store that I couldn’t take it all in at one time. I will definitely visit again. Not to mention, my flatbread pizza was delicious with pancetta, artichokes and feta cheese.